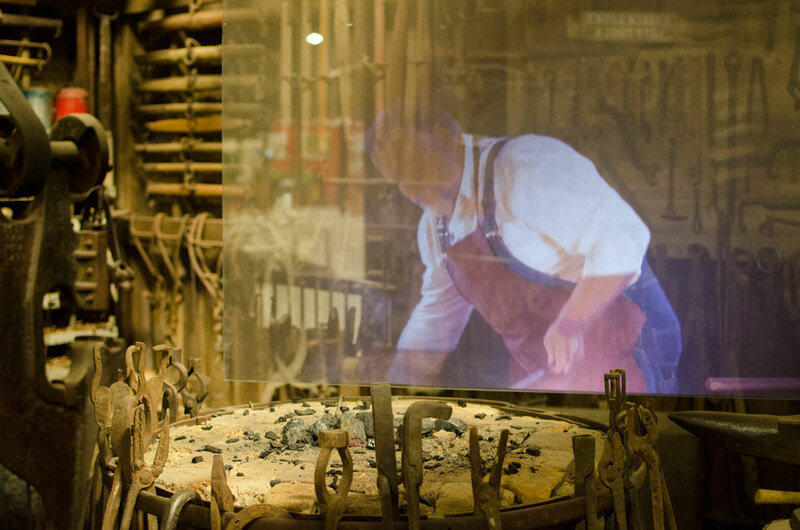 We created a timed lighting sequence system that corresponded with the holographic presentation of historical tools used by blacksmiths. Lights would turn on to highlight each piece of equipment so visitors could examine the artifact as the audio and videos were playing. Watch the demo below to see how it worked.